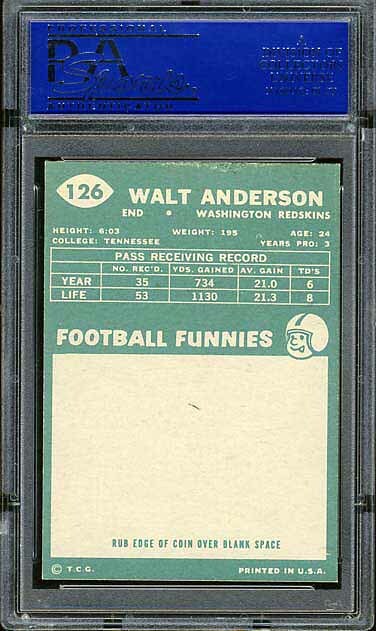 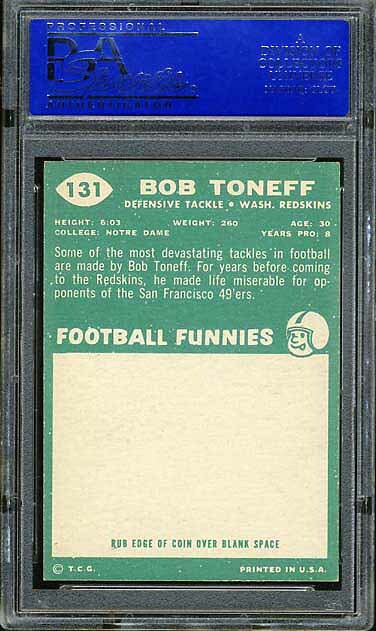 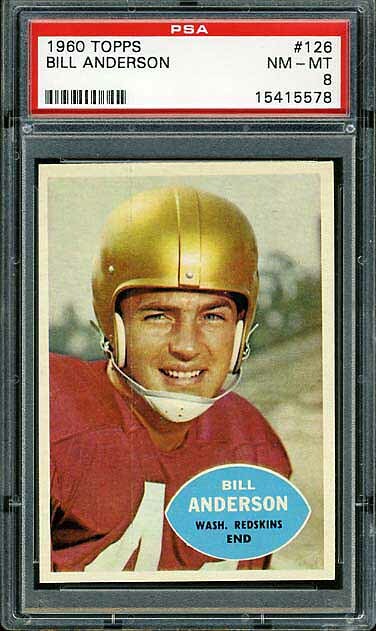 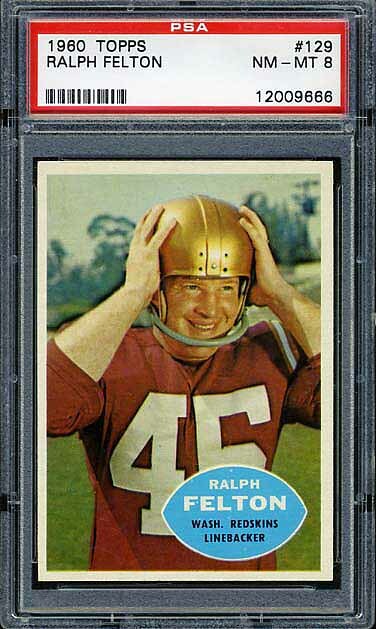 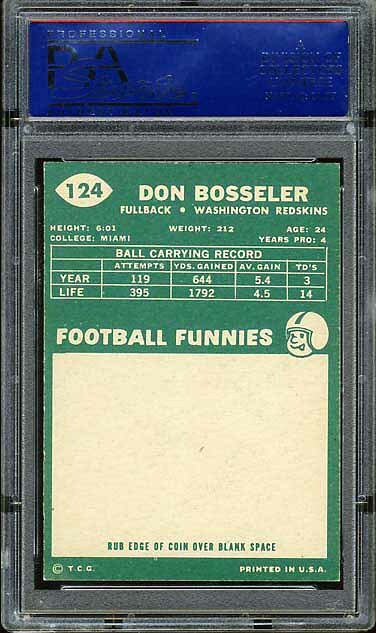 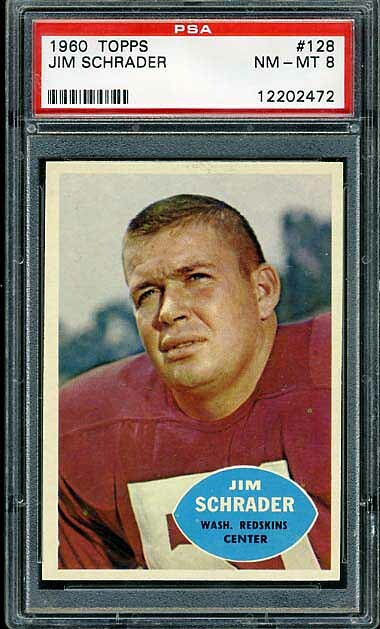 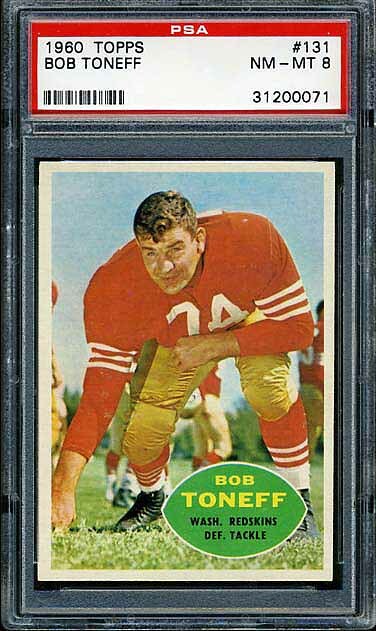 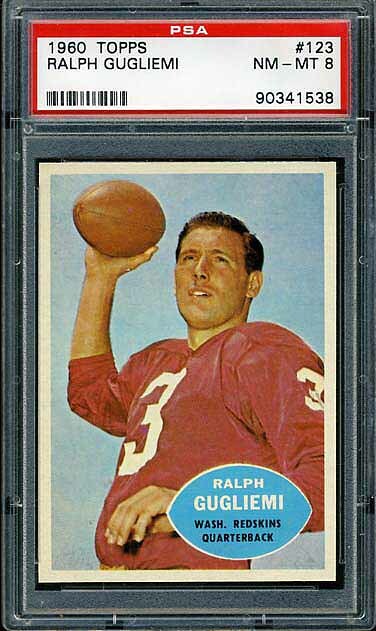 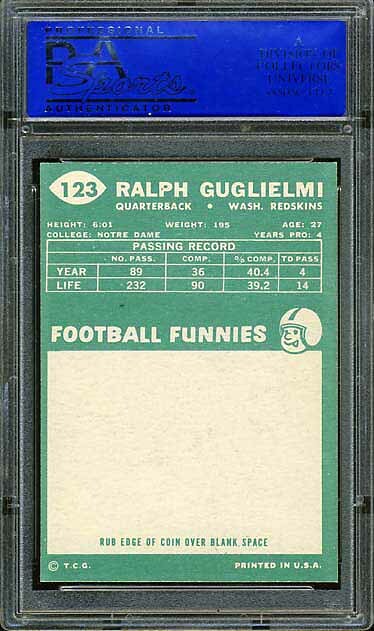 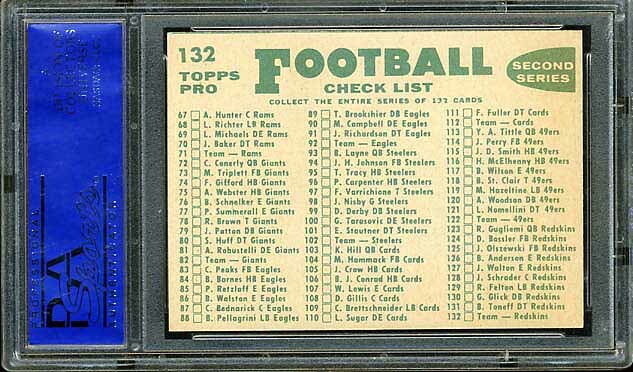 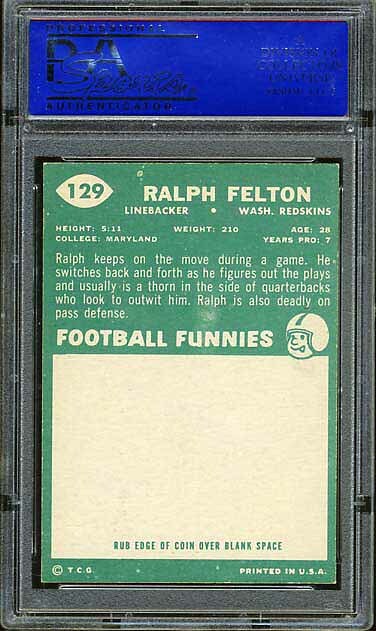 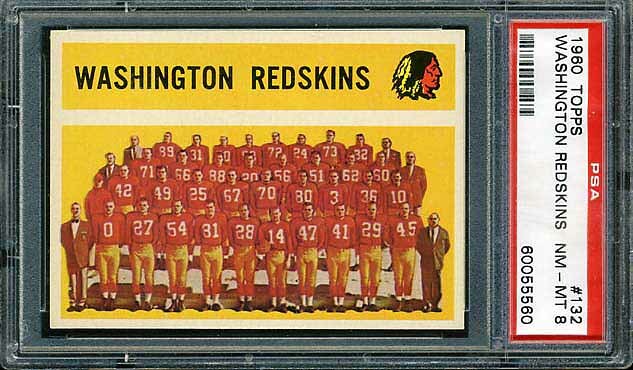 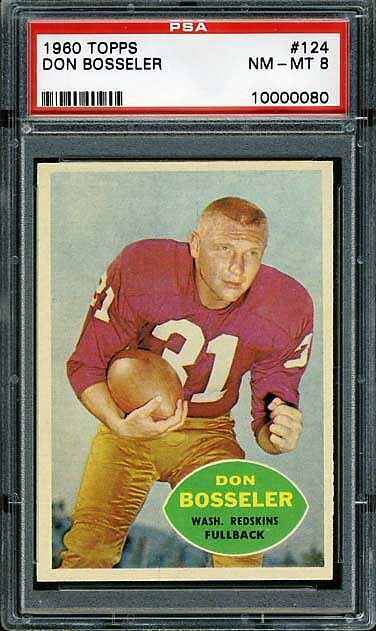 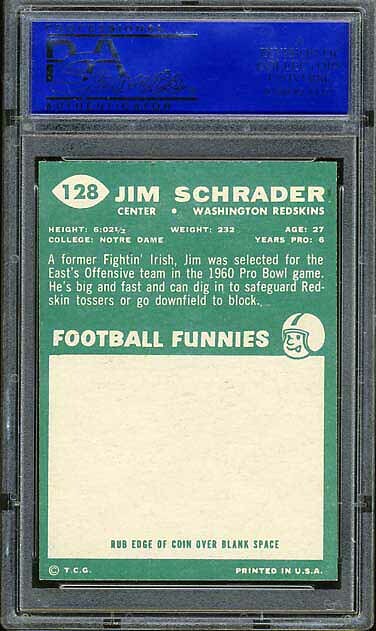 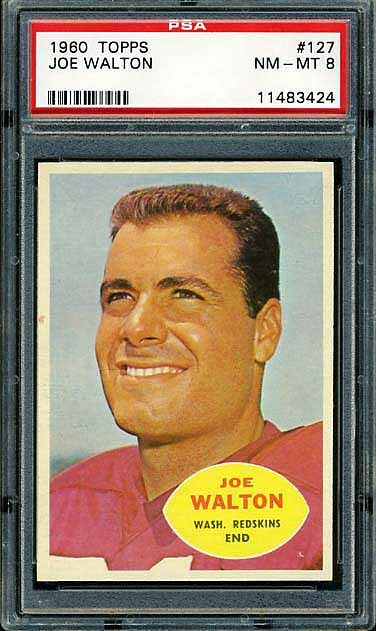 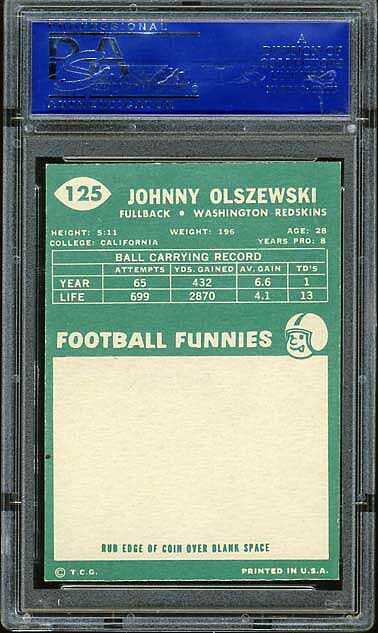 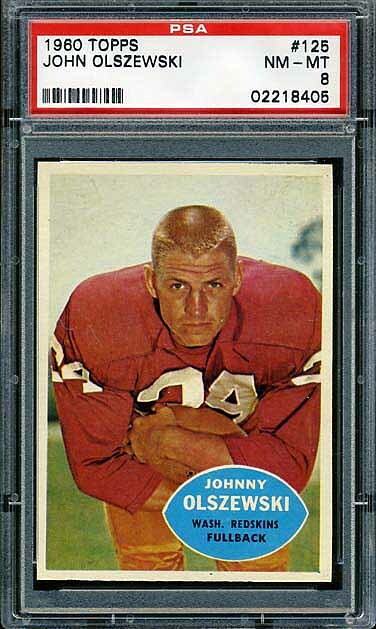 The complete 1960 Topps Redskins team set is shown below along with the Metallic Insert of the Redskins logo that was an insert card in this set. 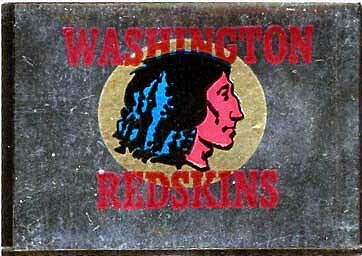 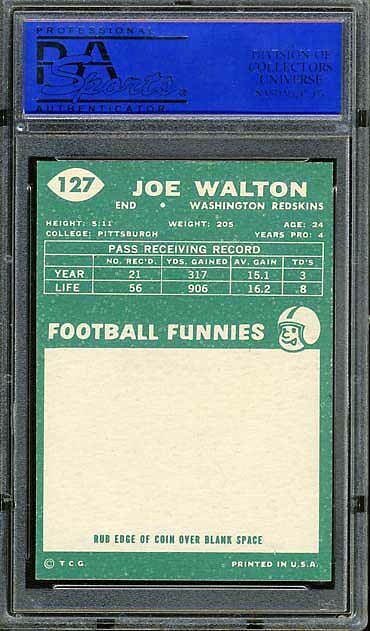 The key card in the set is #132 Redskins. 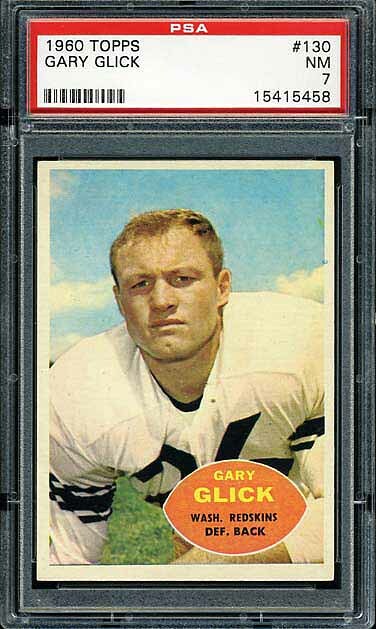 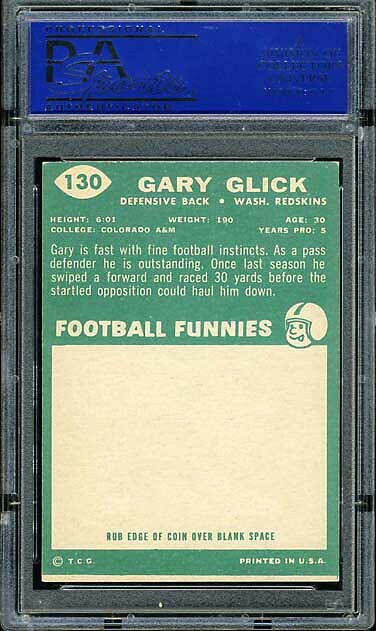 Gary Glick is also a very tough find for Redskins football card collectors.